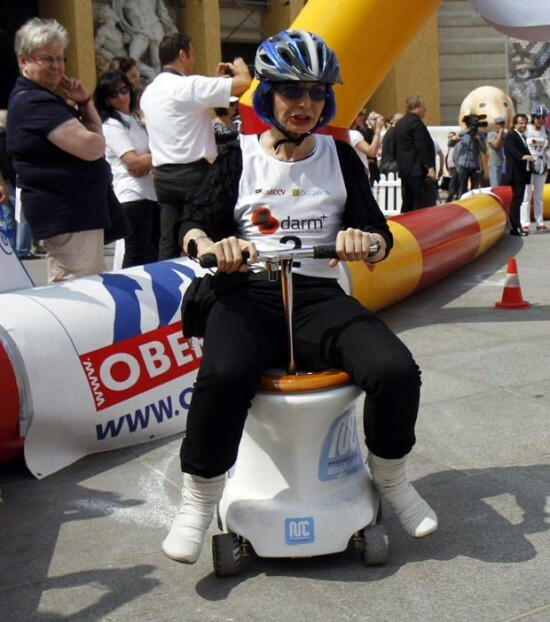 In an attempt to raise awareness to the seriousness of chronic inflammatory bowel disease, an Austrian association asked various celebrities to participate in a toilet bowl race, in Vienna. Usually it’s always about the fastest way to the toilet, but yesterday, people were more concerned about being the fastest on the toilet. 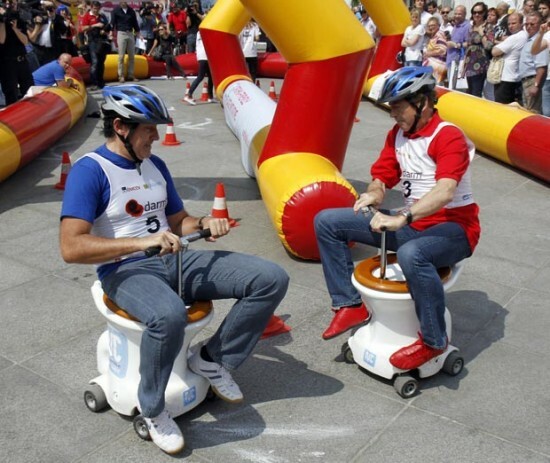 No, I’m not talking about a pooping contest, but a motorized toilet bowl race held in Michaelerplatz Square, Vienna. 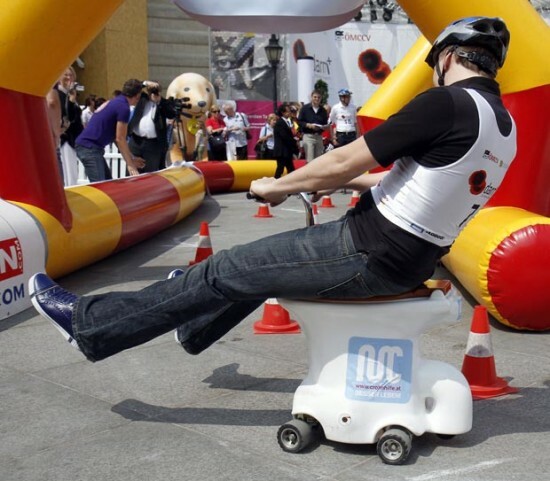 Musicians, cabaret artists, comedians and other sorts of celebrities agreed to participate in the wacky race in order to attract attention to chronic inflamatory bowel disease, a condition that affects around 80,000 Austrians.